Did rework it, a bad start, almost lost it completely, and got back, not all of it, but it is on the way to ‘recovery’, tonight, Sunday night, the 16 th, here’s this day version, and even if not shown, there is also the first snowfall on Montreal…I like those first time the snow is coming back, chasing the grey ambiance away…so this night version…. j’aurais peut-être dû la laisser tel quel, perdu un peu puis enfin retrouvé, enfin presque…pas encore tout-à-fait rendu, mais je crois que c’est sur la bonne voie…donc la version de ce soir, dimanche soir, le 16, première neige sur Montréal…. 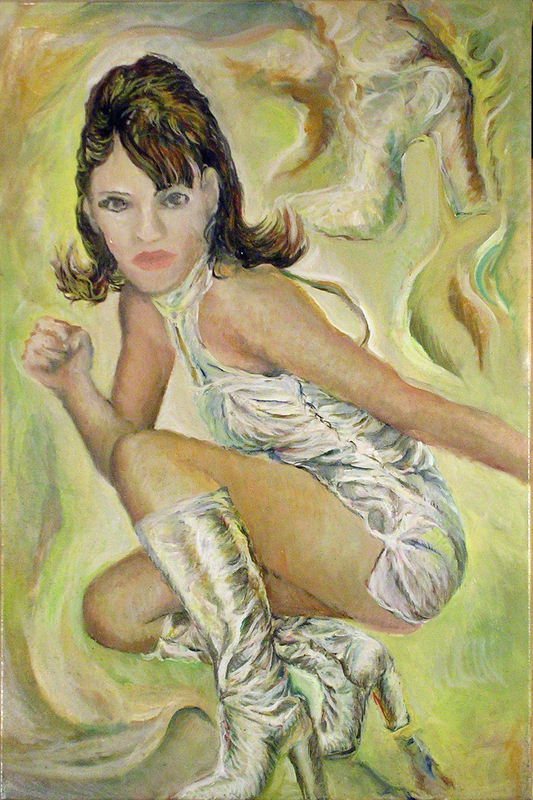 This entry was posted in art, Fashion and models, Painting and tagged boots, Elizabeth Hurley by JMR-ART. Bookmark the permalink.